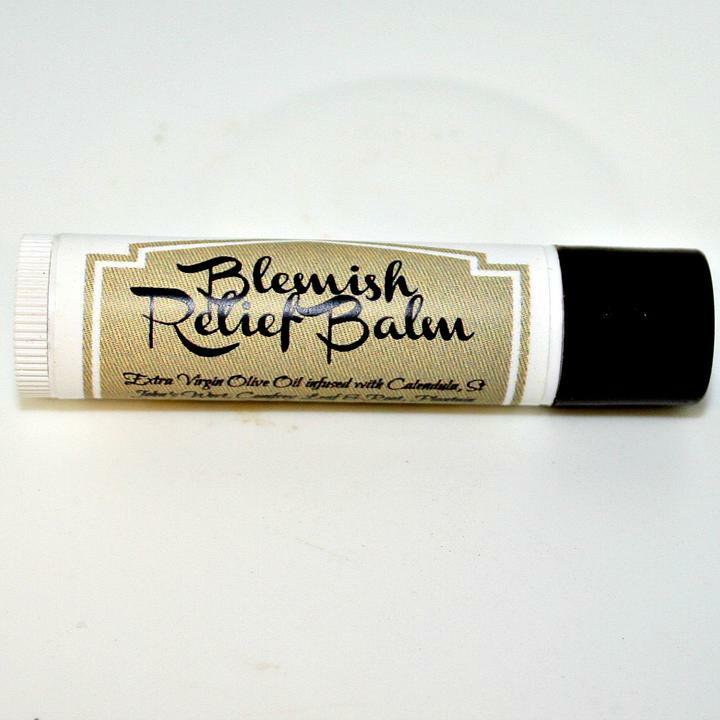 A wonderful customer was the inspiration and one of the testers behind this Herbal Blemish Relief Balm. Extra Virgin Olive Oil infused with Calendula, St. John's Wort, Comfrey Leaf & Root and Plantain brings forth the healing and drawing virtues of these wonderful herbs. 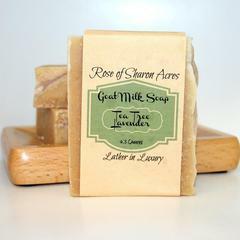 We've added Lavender, Tea Tree & Laurel Leaf Essential oils also for their powerful anti-bacterial properties. We've also added Tamanu oil that has remarkable topical healing agents: antineuralgic, anti-inflammatory, antimicrobial, antibiotic and antioxidant properties. Tamanu oil possesses significant antimicrobial qualities as proven in antibacterial and antifungal tests. It contains powerful bactericide and fungicide agents that defeat human and animal pathogens. It's an excellent treatment for acne breakouts and scars, insect bites, stings blisters, eczema and herpes sores. The list goes on..it's truly an amazing product. Just a little dab will do you! Insanely fast shipping and a perfect product as always! I love this balm because as soon as I see a blemish emerging, I apply a little dab and this stops it right in its tracks. It doesn't stand a chance to become something big and nasty! Monica is a fantastic seller and I will be a repeat customer (again) for a long time to come! Wow! This stuff is great!!! 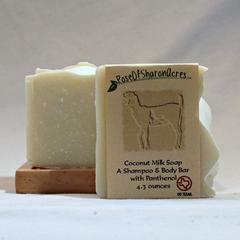 It has a nice, natural, not chemically scent and works fabulously. If my son (13 years old) is able to apply the balm just as a blemish is forming, the blemish never gets "full blown." If we apply it to a blemish that has already formed, it helps to get rid of it very nicely. 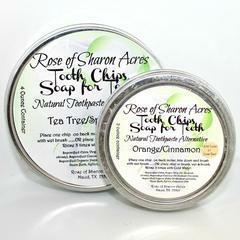 GREAT alternative to commercial blemish creams! Highly recommend for "teenage" skin (actually works great for my middle age blemishes too!). Gentle (not drying), yet effective. My daughter reluctantly let me buy her this blemish cream because she's had trouble keeping her face clear. But after she had used the entire container up, she came to me asking for more! I was very surprised, knowing my daughter. She must have been very impressed, and now she's sharing it with her sister! I have been struggling with breakouts for over ten years now and have tried everything under the sun to get rid of them. I don't know if its just luck or if this stuff is a miracle in a jar but I apply this on my face at night and not only has it zapped away the old blemishes but no new ones have popped up either! Yay! I was skeptical at first that a natural product with help blemishes. But this stuff really works and works fast! It takes the swelling out of those large sore bumps overnight! Wish I would have had this stuff as a teenager!!! Thx for a great "natural" product. I was really surprised at how well this stuff works. I must admit I wasn't really expecting much. I just added it to my cart when I was shopping, thinking, "what the heck." Last night I had a little rosacea flare-up on my cheek and I could see a painful, red bump forming on my chin. I remembered the balm and slathered some on before bed. I woke up this morning dreading having to deal with the rosacea and a huge hormonal zit. I looked in the mirror and saw...nothing! The zit that had been forming on my chin was nowhere in sight. The patch of rosacea that was BRIGHT RED and inflamed the night before had been reduced to a little pink splotch. Amazing. i just want a giant glue-stick size tube of this stuff. my friends are always skeptical of it until they try it and their blemishes disappear or go down in size a bunch. wonderful product!